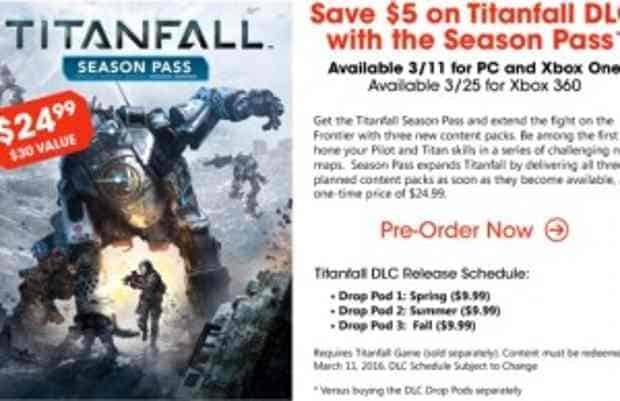 The Titanfall Season Pass has just been announced, and further details have emerged relating to the DLC schedule. 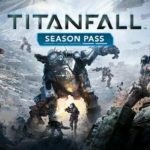 According to the GameStop website, a Titanfall DLC releases will be known as a ‘Drop Pod’ containing additional content of some description – new maps, weapons or something along those lines. There will be 3 Drop Pod’s in total, the first being released in Spring followed by Drop Pod 2 in Summer and Drop Pod 3 in Fall. Each release is expected to retail for $9.99 which is where the advertised $5 Season Pass saving comes into play – buy individually and pay $30 in total, or buy the Season Pass and pay just $25/£19.99. Both the Titanfall website and the GameSpot website suggest each DLC release will contain new maps, despite being touted as ‘rumor and speculation’ by Respawn/EA. You can check out the information in the Titanfall section of the GameStop website.